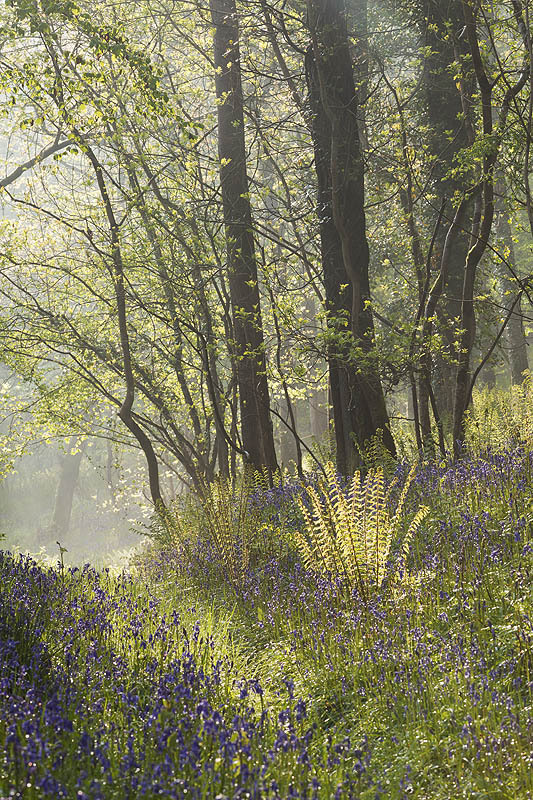 A carpet of Bluebells covers the ground at Northdown Wood near Tiverton, as the sun rises and the last of the morning mist begins to lift on a beautiful spring day. Northdown Wood, Tiverton. Devon. May 2013. Location: Northdown Wood, Tiverton. Devon.